Foreword. Preface. The sense of beauty. From homogeneity to heterogeneity. Specifying environmental conditions for naturally ventilated buildings. The user's role in environmental control: some reflections on theory in practice. 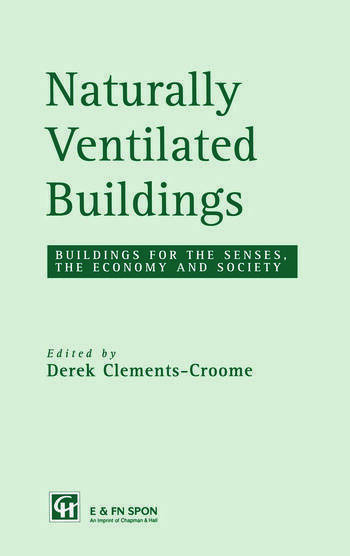 Environmental criteria for naturally ventilated buildings. Against the draft CEN standard: pr ENV 1752. An adaptive approach to thermal comfort criteria. Natural ventilation: prediction, measurement and design reality. Specifying environmental conditions for naturally ventilated buildings. Natural ventilation in a large mixed mode building. Illustration acknowledgements. Index.